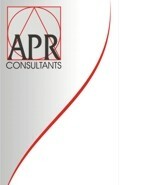 APR Consultants provides services to support business and economic development in both the private and public sector. APR Consultants is award-winning companies and has built independent expertise in their respective areas. To find out more, please visit their websites.